Bankside Yards comprises Sampson House and Ludgate House, which are two properties adjacent to Tate Modern, located in the heart of London’s South Bank, and commands spectacular views of central London and River Thames. 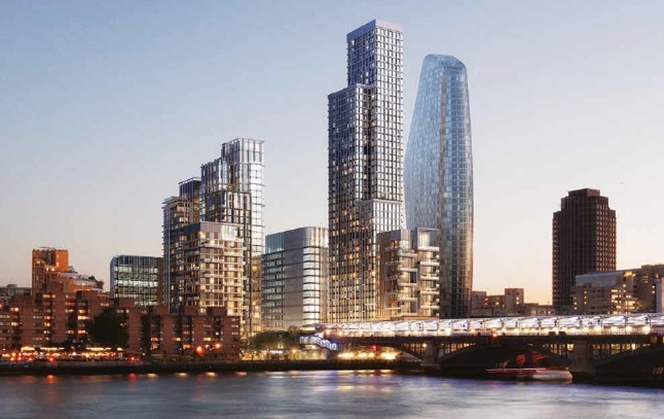 The properties have superb transport links to the city, West End, Canary Wharf and key commuter suburbs due to the close proximity to Blackfriars railway and underground station. Amprop and its reputable partners, namely UK based developer Native Land, and Singapore based developers Hotel Properties Ltd and Temasek Holdings Limited will jointly developed this 5.3 acre site into 6 new buildings between 14 to 48 storeys high. Besides offices, retail shops and leisure facilities, the property will also have 668 residential apartments.